We are pleased to announce that we have opened Talhenbont Hall as a filming location. Our Hall has received very many enquiries for both accommodation as well as a wedding venue, and throughout the years, our guests have mentioned (more than once or twice!) that the history of our beautiful Talhenbont Hall is prevalent throughout the building. Some of our guests have commented that they can see themselves starring in something as grand as Downton Abbey, or as romantic as strolling through the pages of Pride and Prejudice when they visit Talhenbont Hall, and we’ve thought that might not actually be too bad of an idea. For this purpose, we have decided to open Talhenbont Hall as a filming location, as well as self-catering accommodation and as a wedding venue. We (of course!) 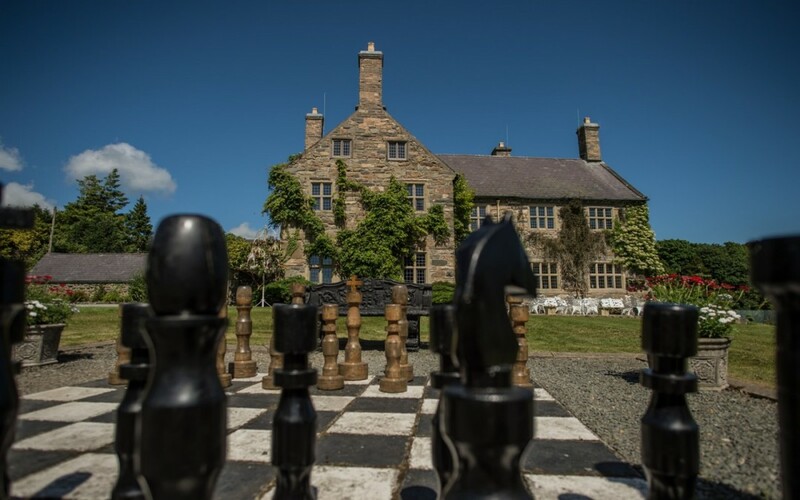 have a very authentic atmosphere within Talhenbont Hall, and 75 acres of carefully maintained land of which to take advantage of. We feel that another of our strengths is the fact that we can easily accommodate up to 40 crew members, and our grounds themselves are gated- facilitating utter privacy for our guests, as well as our clients. We very much hope you’ll take a look at our Filming Locations page, and let us know what you think! Yes, I want to receive news and exclusive offers from Talhenbont Hall.